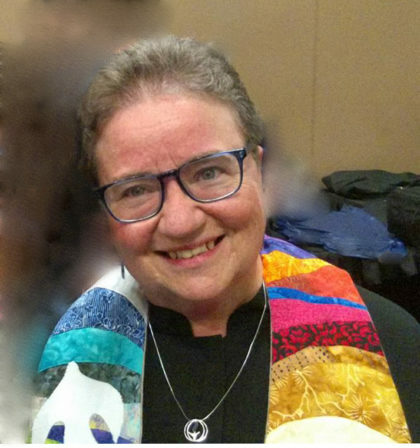 Many of us have come to Unitarian Universalism from other faith traditions, and some of us carry injuries from those earlier experiences in other churches. And it is tempting to throw out everything from before, to avoid anything associated with that earlier time. How that shows up in many of our UU congregations is an avoidance of all things “Christian.” I can surely understand avoiding reminders of a painful time in our lives, and yet I worry sometimes that we have gone too far, depriving ourselves and each other of something that we could claim as our own. I am reluctant, no unwilling, to yield all of Christianity – its teachings, its rituals, its potential for transformation – the “Christian right.” Unitarian and Universalist Christianity invite us to study and follow the teachings of Jesus, to love one another, to fight against injustice, to speak hard truths when it would be more comfortable to do otherwise. We – you and I – have as much right as anyone to claim that heritage as part of our own and to incorporate it in to our own religious and spiritual identity. The next two weeks mark a special time in the Christian calendar, and I invite you all to acknowledge this sacred time with me in a way that feels authentic to you, but I ask you to consider stretching a bit, perhaps seeing if there might be some treasures to be found in the faith you left behind. This Sunday, Palm Sunday, is the day that Jesus rode into the city of Jerusalem in what would be the final days of his ministry and his life. He was greeted as a hero, a prophet, as a brave champion for the downtrodden. The people waved palms as they would for a member of royalty, outraging the tyrannical leaders who saw Jesus’ teaching of liberation as a threat to their own power. Next week, known as Holy Week in the Christian Calendar counts down the final days of Jesus’ life. On Thursday evening, April 18th, we will honor “Maundy Thursday” with a contemplative service of readings, prayer, and communion, honoring the last supper. We’ll start at 6:45 and end by 7:15 or so. As is the custom, we will leave the sanctuary in silence, in memory of Jesus waiting in the garden of Gethsemane alone, knowing he would likely be executed for his radical teachings and ministry of healing. We honor Jesus the teacher, prophet, and guide. Please join us, and let yourself claim or reclaim this part of our Unitarian Universalist heritage. A few weeks ago I invited you to take a name of someone and to hold that person in your thoughts in the coming days. If you missed the chance to be part of that prayer circle, please add your name to the basket on the way in to worship on Sunday and take a name on your way out.